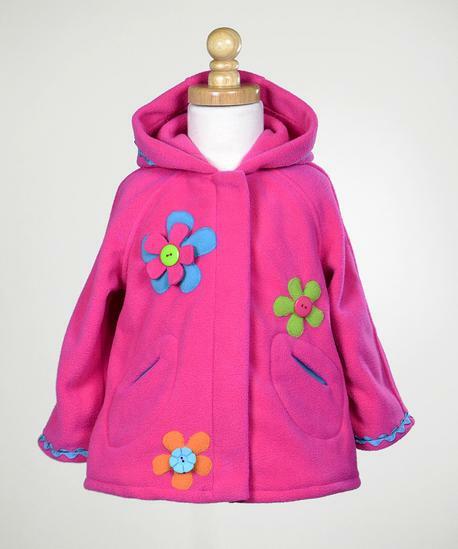 Bold and bright, hooded fleece jacket has a hidden zipper and a garden of primary colored flowers with sewn button centers! Ric rac detailing on sleeve. Double sided fleece. Covered Zipper. 100% Polyester. Machine Washable.